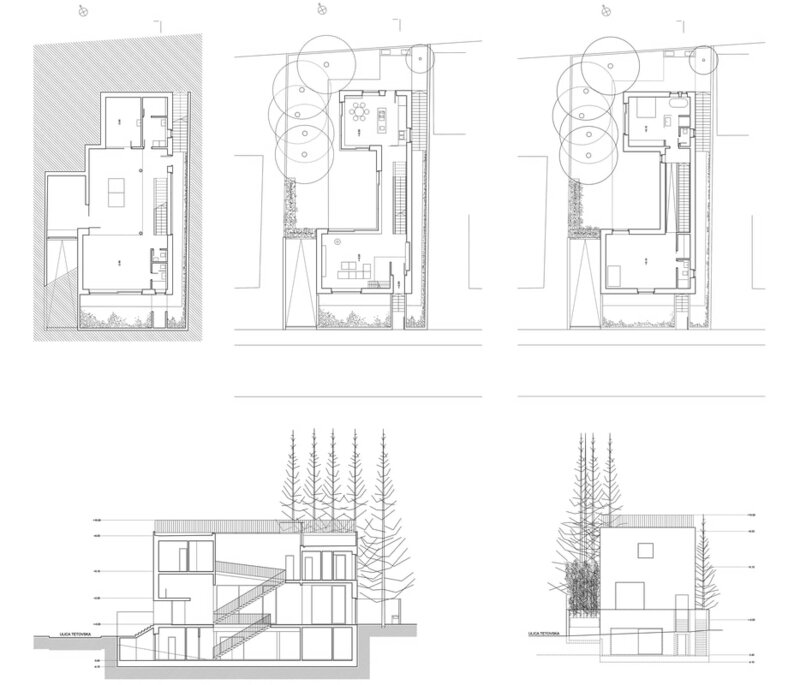 The idea was to start off with the six big pine trees on the site and create a juxtaposition with a concrete house in one micro urban entity. The walls are designed as a highly energy efficient concrete construction including 30cm of thermal insulation and a concrete facade. 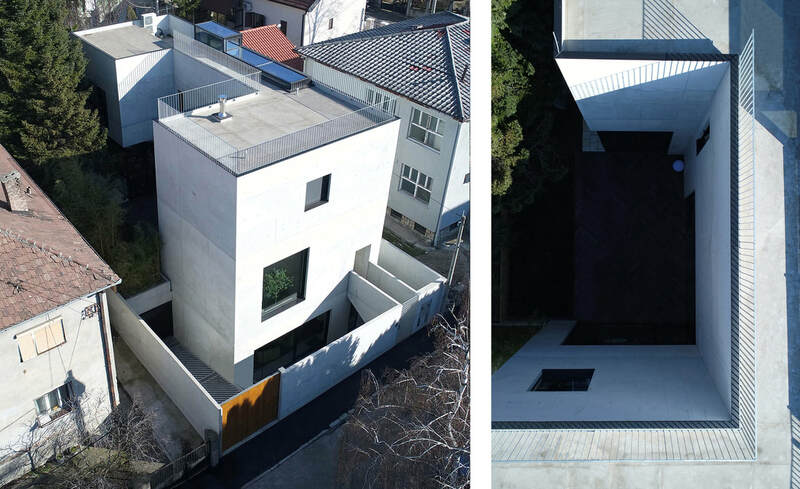 All slabs are solid concrete, and almost all floors use that as a heating and cooling medium.No other finishing materials were used,apart from architectural concrete. High ceilings and a double-height living room with a working gallery over the entrance with 4,5 meters high windows and sliding doors provide interaction between the internal and spaces. A steel staircase and internal ramp act as a“connection bridge” between the two parts of house.